To be able to edit an image with PhotoScape, the first thing to do is choose the Editor option from the main interface. We can find it on the upper part of the options wheel. Another possibility is to go to the upper toolbar and choose the same option from the tabs available. It’s the third one starting off from the left. Once we’re on the editing panel, we have to open the image that we want to edit. For such purpose, we can explore the folders of our computer pressing the magnifying glass and folder icon located on the bottom left hand side of the interface. We can also explore from the sidebar. Crop: from this panel, we can crop parts of an image to export them to other projects. Tools: here we can find tools to enhance, correct flaws, and carry out other adjustments. 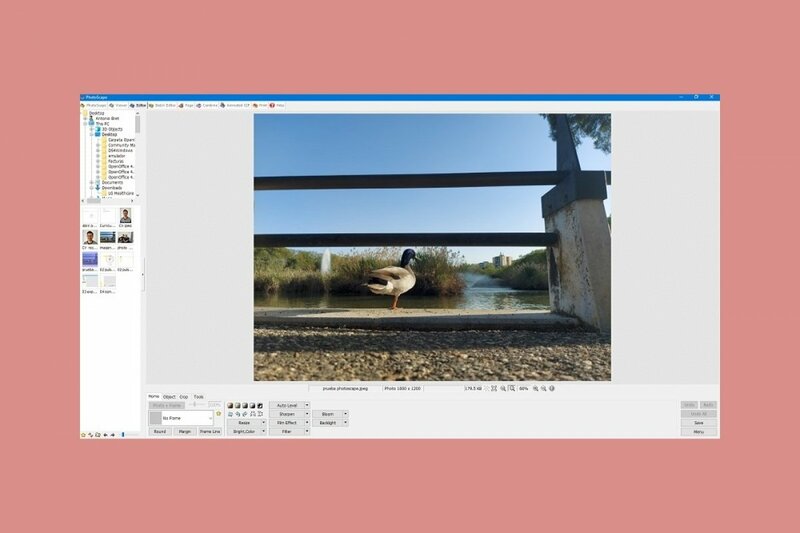 PhotoScape is a really easy-to-use editor that despite not coming along with an interface that looks too modern, it offers us user options that don’t require us to be an expert in photo enhancement, being a great alternative to other image editors of the likes of GIMP.